See the best news images from December 26. 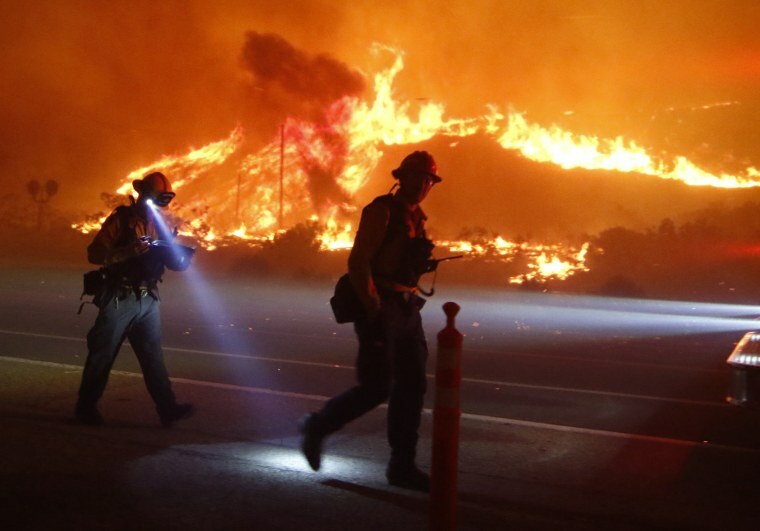 Ventura County firefighters battle the Solimar brush fire that started early Saturday morning in Ventura County, California December 26, 2015. 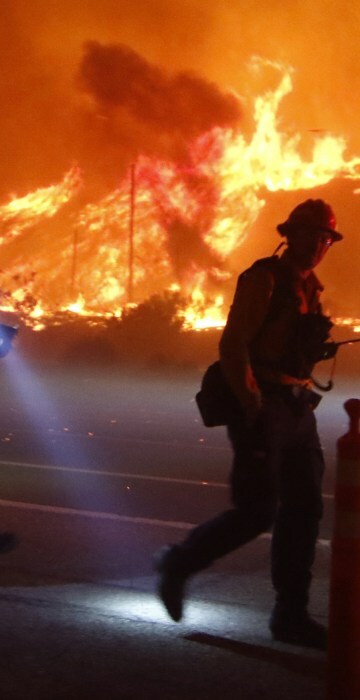 A wildfire in Southern California burned over 1,000 acres of land, forced the closure of parts of two major highways and led to evacuations on Saturday, fire officials said. Damage caused by a tornado is seen in a neighborhood in Birmingham, Alabama, December 26, 2015. A tornado struck Birmingham on Friday, damaging houses, uprooting trees and injuring at least three people in the state's largest city, law enforcement and weather officials said. 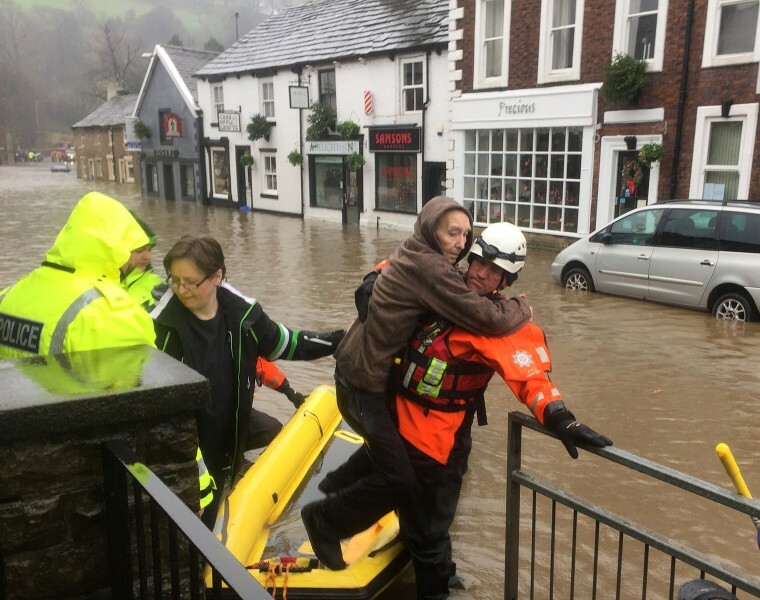 Rescue teams in Whalley, Lancashire, hit by downpours, with people in a number of towns and villages forced to leave their homes after being stranded by the rising waters. Whalley, UK, on Saturday December 26. Dozens of angry Corsicans staged a fresh protest on the French Mediterranean island today. 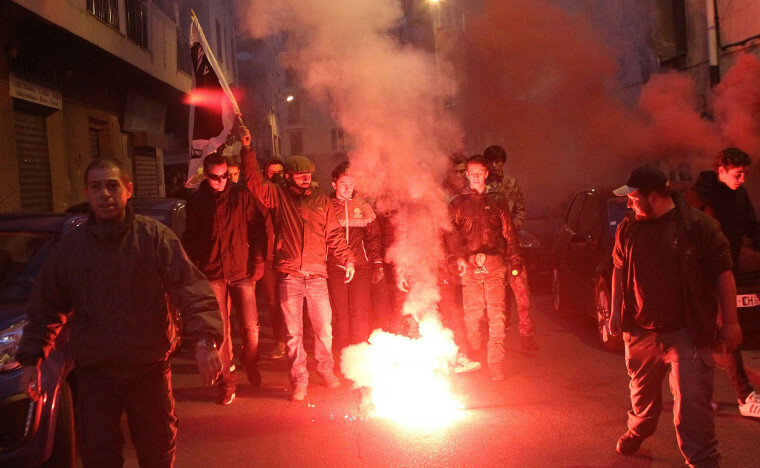 As condemnation poured in from Muslim authorities and French officials over Friday's anti-Arab protests, around 100 demonstrators shouting "We're still here" turned out in the same low-income neighborhood of the capital Ajaccio where the Christmas day violence took place. 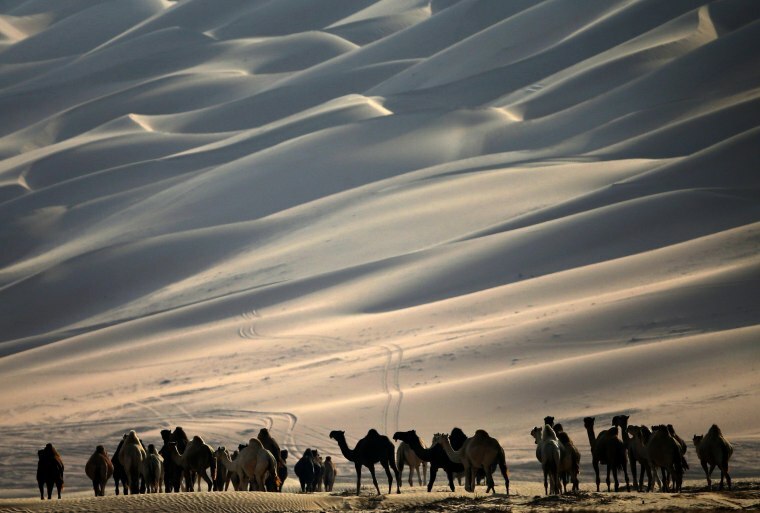 A herd of camels walk along the sand dunes during the Mazayin Dhafra Camel Festival in the desert near the city of Madinat Zayed, west of Abu Dhabi, on December 26. The festival, which attracts participants from around the Gulf region, includes a camel beauty contest, a display of UAE handcrafts and other activities aimed at promoting the country's folklore. A swimmer reacts during the traditional Christmas winter swimming competition in Prague, Czech Republic, December 26. 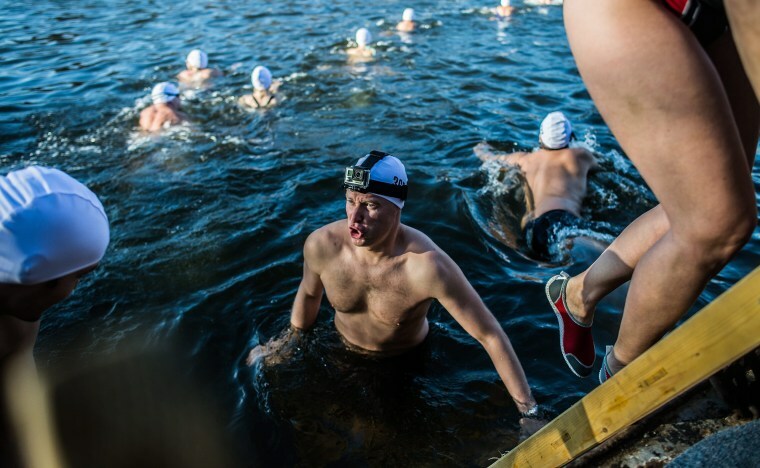 Enthusiast swimmers every year brave the cold waters of the Vltava river for a swim. 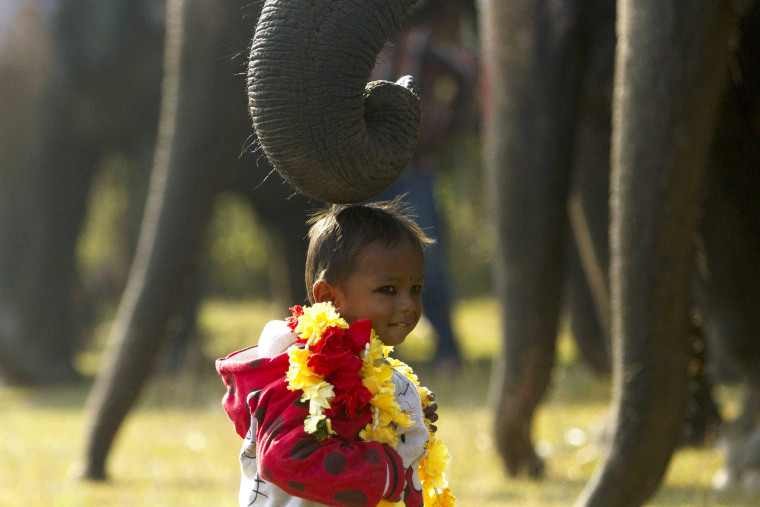 A Nepalese boy stands under an elephant's trunk during the first day of 12th Chitawan Elephant Festival at Sauhara, Chitawan, some 154 kilometer from the capital of Kathmandu, Nepal, December 26. The five-day-long fair was organized by the regional hotel association of Sauraha to promote tourism in Nepal. An elephant race, a bullock cart race, a horse cart race, elephant soccer, an elephant beauty pageant and various cultural activities will be held during the event. 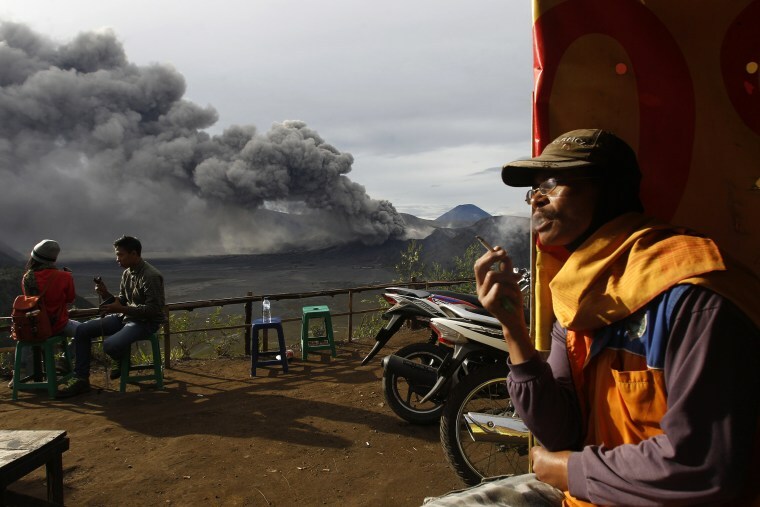 Local tourists enjoy a view of the eruption of Mount Bromo, in Probolinggo, East Java, Indonesia. Indonesian authorities raised the alert level of the volcano to the second highest as its activity increased earlier this month. Indonesia has more active volcanoes than any other countries in the world. 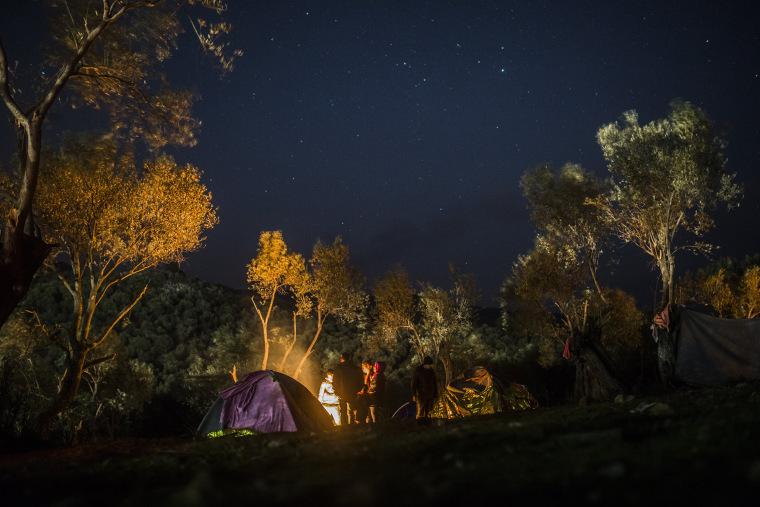 Refugees try to warm up themselves next to a makeshift fire outside a registering center in the village of Moria, on the Greek island of Lesbos, Saturday, Dec. 26. The International Organization for Migrants said earlier this week more than 1 million people have entered Europe. Almost all came by sea, while 3,692 drowned in the attempt. 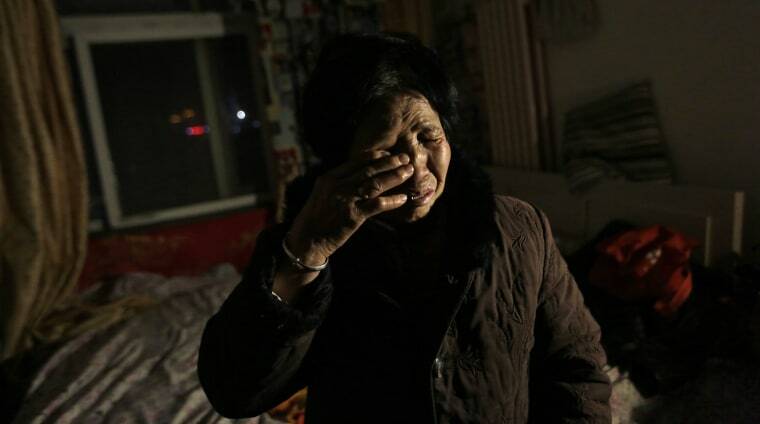 Yue Guiqun, an elderly resident of 'Baoxiangju' apartment block that is undergoing forced eviction, crying as she talks of the hardships of living without water and electricity in the harsh winter while having nowhere else to go in her apartment in Fourth village, Xihongmen town of Daxing district on the outskirts of Beijing, China. Xihongmen, a southern suburb of Beijing inhabited by rural migrants now being evicted by force, is a good example of the nightmare that real estate speculation, uncontrolled construction and the lack of guarantees of decent housing has created to many Chinese. In that area, one of the poorest in the capital, thousands of people are expelled without negotiating compensation, others saw their home demolished without giving them time to take their belongings, and those who remain have been cut off basic services such as electricity or water to leave. Many of the residents left behind are elderly or low income residents who has nowhere else to go and would have to endure a hard winter in a city where temperatures can reach well below freezing.